We’re your first and only call when you need auto repair in Stanwood, WA. If you’re in a pinch and need assistance with ANY of the following, call Bud's Auto Repair at (360) 658-8600. 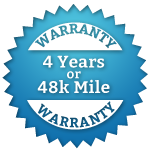 For the best car repair in Stanwood, WA whenever you need it. Give us a call today. (360) 658-8600.